IT solutions for healthcare agencies must address a number of unique IT challenges. Your doctors, nurses, administrators and support staff need anytime, anywhere access to their computer systems to monitor the health of their patients. Patient data must be kept private and protected to comply with HIPAA regulations. And your Electronic Healthcare Records EHR software needs to be fully integrated into your infrastructure so it functions properly -- because every minute your network is down and your staff isn’t able to access vital patient, procedural or drug information, patients’ lives are at risk. Give your healthcare agency an edge in today’s competitive market by working with the region’s best IT solutions provider -- ANP. 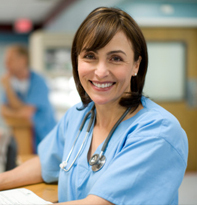 At ANP, we understand the unique needs of your healthcare agency and support the software you typically use during the course of patient care. When you partner with ANP, we proactively handle everything an in-house IT department would handle but at a much more cost-effective rate. Plus, we maintain your network with a flat-rate monthly service, which keeps your IT budget under control. And tech support is always just a phone call away -- because we understand that computer support is needed 24/7 to keep your agency operating smoothly. With properly designed healthcare IT solutions from ANP, you’ll maximize your agency’s efficiency, secure your information resources and comply with HIPAA regulations and other government mandates regarding Electronic Healtcare Records. By virtually eliminating downtime, you shorten the billing cycle, improve record keeping -- and free your staff to focus on providing the highest standards of patient care. Need help with your healthcare IT solutions?